Carson Optical is a multi-power LED lighted Magnifier. 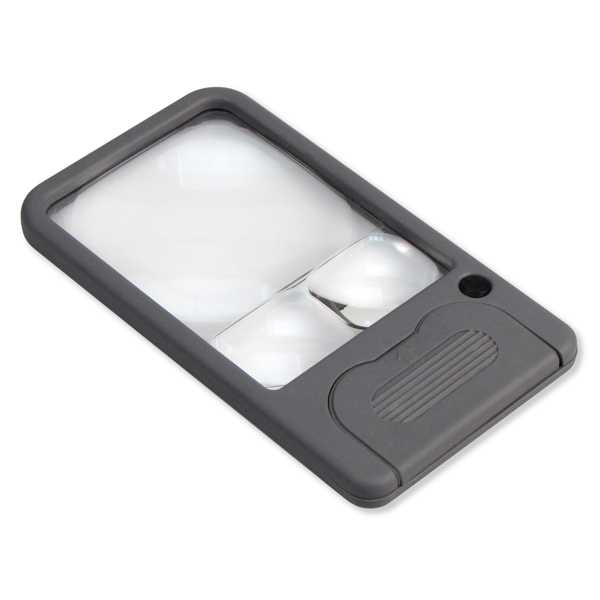 This HandHeld Pocket Magnifier™ has three magnifying powers: 6x, 5x and 2.5x. It features a crystal-clear acrylic lens. It is an ideal low vision aide. The Pocket Magnifier™ is also perfect for reading fine print. It is so compact that it can easily fit in a pocket or purse. This product was added to our catalog on Sunday 10 March, 2013.